www.brta.gov.bd published new job circular in there website. 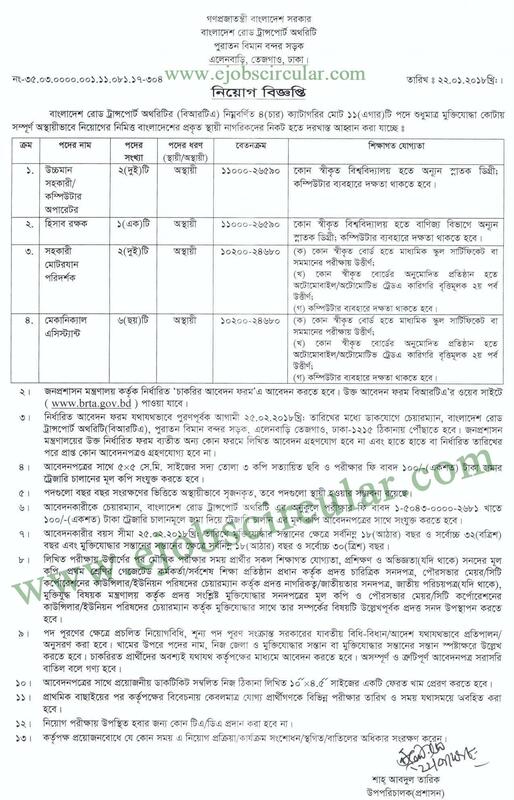 You can also Get BRTA Job Circular 2018 job information at www.ejobscircular.com .Bangladesh Road Transport Authority offer lots of Vacancy in January 2018. Accountant, Office Assistance, auditor, Draftsman etc post are available in this New BRTA Job Notice. Keep visit for more information below.